Most of us will have heard of the Canary Islands, lots of people will know where they are, and many will have even been there on holiday, but there are some things of which few travellers will be aware. Here are some interesting facts about these volcanic isles that lie off the coast of North Africa. 1. 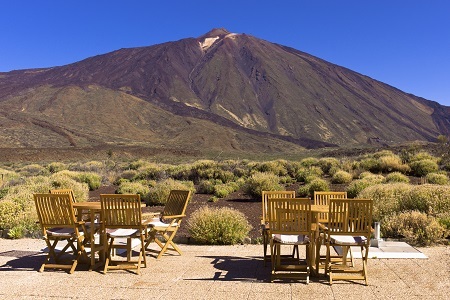 Mount Teide, found on Tenerife, is the third highest volcano in the world. When measured from the sea floor, it reaches an astonishing 7,500 metres and is only out done by two volcanoes found in Hawaii; Mauna Loa and Mauna Kea. Although it is still classified as ‘active’, it has shown no signs of erupting since 1909 and the park which surrounds it has since been designated a UNESCO World Heritage Site. 2. The cuisine of the Canary Islands is very vibrant and instantly determinable from the national food in other countries; even Spain. Popular dishes include ‘wrinkled potatoes’ which are boiled in sea salt until their skin shrivels and a red or green pepper sauce known as ‘mojo’. The food here takes characteristics from Spanish, African and Latin American cooking. 3. 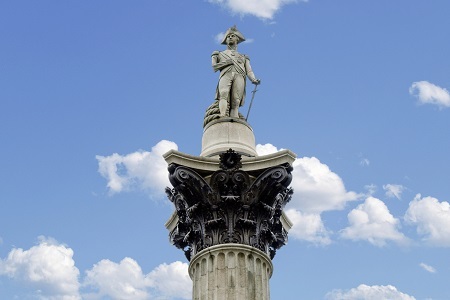 During the French Revolutionary Wars, Admiral Nelson led a British assault on the city of Santa Cruz de Tenerife in 1797. This was to be a battle that changed Nelson’s life as it ended in him having to have part of his arm amputated due to severe injuries. Following hundreds of other casualties, the British forces retreated and the Admiral was left with a constant reminder of his failures. 4. Most people will think that the name of the Canary Islands derives from the little yellow birds that are often kept as pets. However, it is far more likely that this has more to do with dogs than birds. The name ‘Islas Canarias’ comes from a Latin term that means ‘island of the dogs’; something that is thought to have stemmed from the fact that the lands were ones home to a species of seal known as ‘sea dogs’. 5. 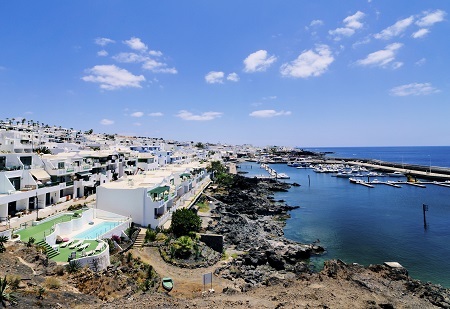 Anyone who has ever been to Lanzarote may have noticed that there are few high-rise hotels on the island. This is because the architect César Manrique was keen to preserve the natural beauty and so persuaded the local authorities to restrict developments of this kind. Any tall building that is built must include the use of traditional colours on its exterior. 6. La Gomera has its own language that is made up of whistles. It was historically used to communicate across the wide ravines that litter the island, but is much rarer these days. It is however part of UNESCO’s list of Intangible Cultural Heritage of Humanity, having been added in 2009. You can learn more about preserving the ancient language of La Gomera in a past blog post we've published. 7. El Hierro, the smallest of the Canaries, is the world’s first self-sufficient island. 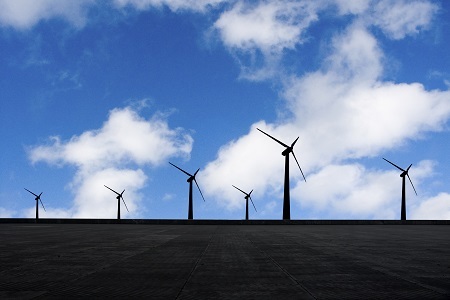 A mixture of wind and water power is used to supply electricity to the 10,000 residents and has removed the need for the 40,000 barrels of oil that used to be used every year. If these facts have got you interested in a Canary Island holiday, then why not visit the Hotel Jardin Tecina in breath-taking La Gomera. Call us today for a quote or fill in a form online and we will get back to you.